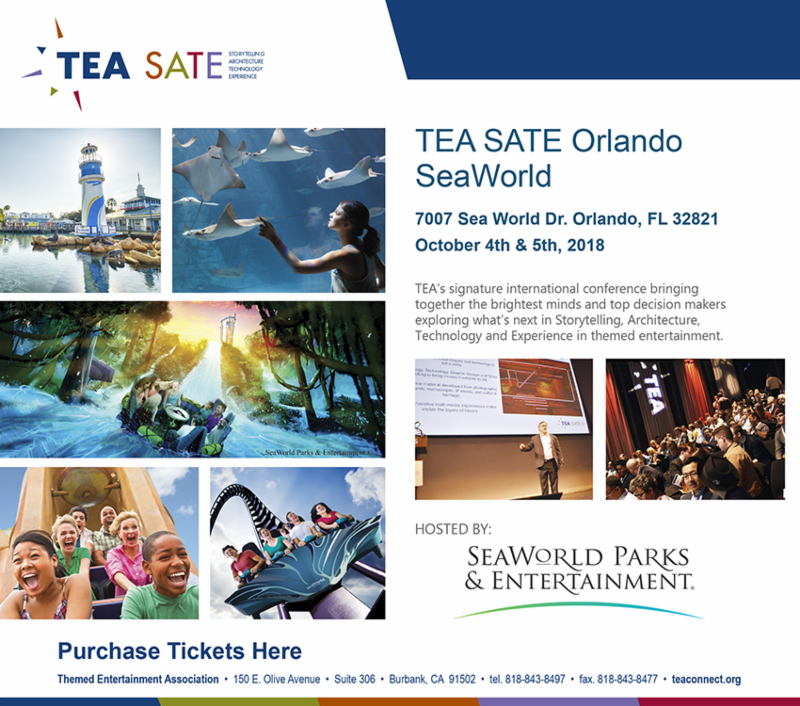 Sessions and speakers announced for TEA SATE 2018 Orlando - SeaWorld, 4-5 October, by the Themed Entertainment Association (TEA). Bettina Buckley, Vice President, Disney Parks Live Entertainment, Walt Disney World - As a strong and resourceful leader, Bettina Buckley has been working around the world, dedicated to taking the entertainment industry to a higher and more effective level of creativity. With Disney Parks Live Entertainment, she leads a variety of teams to create, produce and deliver high-quality, innovative and culturally relevant live entertainment experiences. Prior to re-joining the Disney team, Bettina spent 16 years as Principal and Executive Producer of WOW!Works, leading teams of creative collaborators and technical partners in multi-faceted and unique productions, special events and attractions. John Paul Geurts, Founder, Funopoly - Creative entrepreneur John Paul Geurts is passionate about exceptional guest experience and exquisite design. He currently consults on unique global projects. 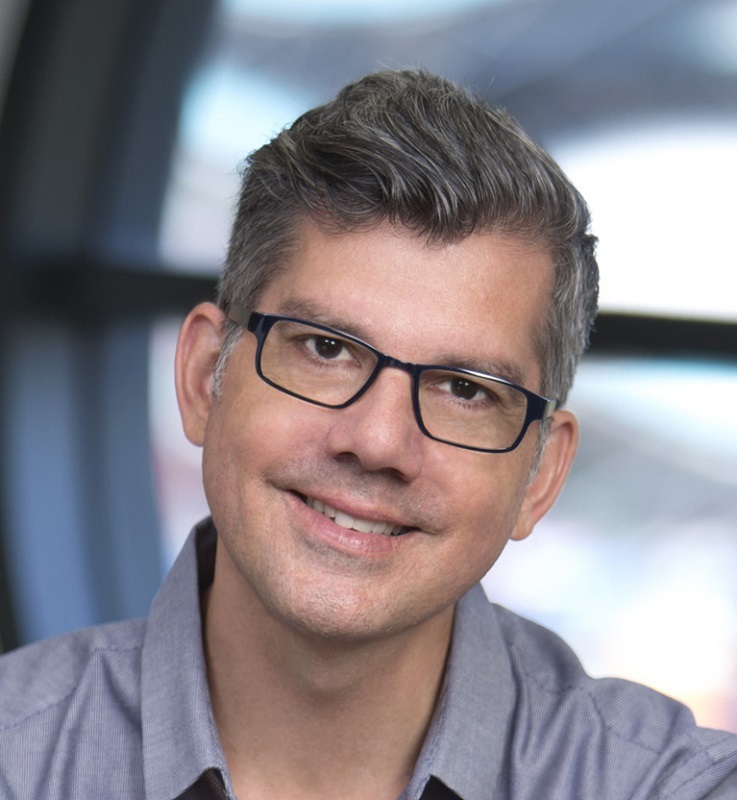 While with Nickelodeon, he led the experience design team and produced the award-winning SpongeBob SquarePants musical for Broadway. Prior to Nickelodeon, John Paul worked in the legitimate theatre, and hospitality. He opened attractions for Universal Studios Florida and developed Halloween Horror Nights. His theatrical work drives his storytelling ability and collaborative skills. His creative leadership reveals a commitment to high quality, unique interpretation and a focus on the audience and their needs. 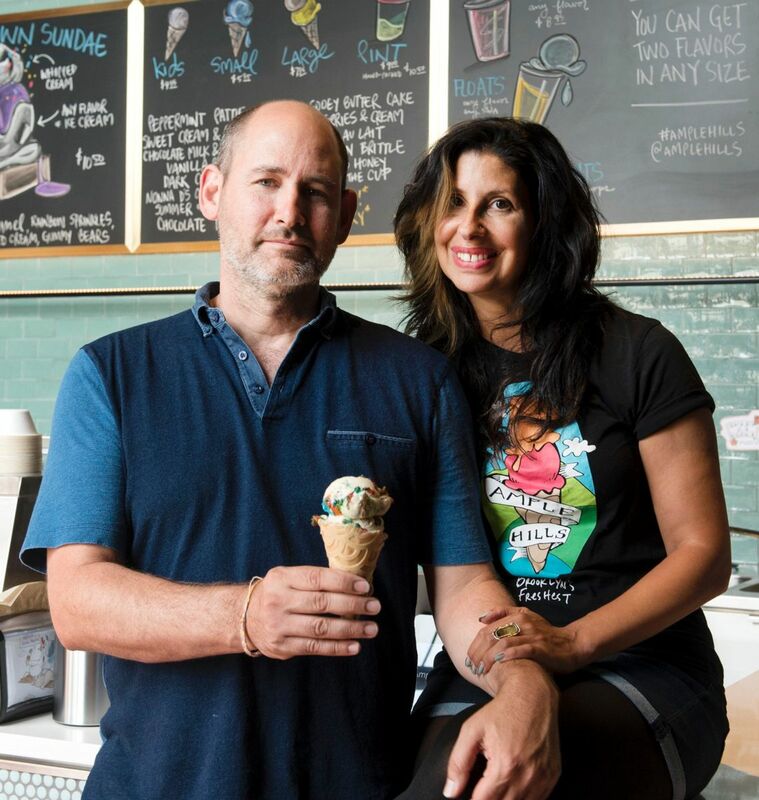 Brian Smith and Jackie Cuscuna are not only the Founders of Ample Hills Creamery, they are also husband and wife. Prior to launching Ample Hills Creamery, Brian was a sci-fi movie writer and Jackie was a New York City high school teacher. They had two young children and a shared passion, which took them on many adventures throughout the (NY-NJ-CT) tri-state area, exploring community gathering spots and tasting all sorts of ice cream. Brian had long dabbled in creating homemade ice cream, but he did not have any formal training. Neither of them had any entrepreneurial experience. What they created/envisioned was based on their personal experience as enthusiastic customers and parents. The rest was on-the-job training. Brian and Jackie are now fully dedicated to Ample Hills Creamery, perfecting their product and on their way to opening an 11th location. 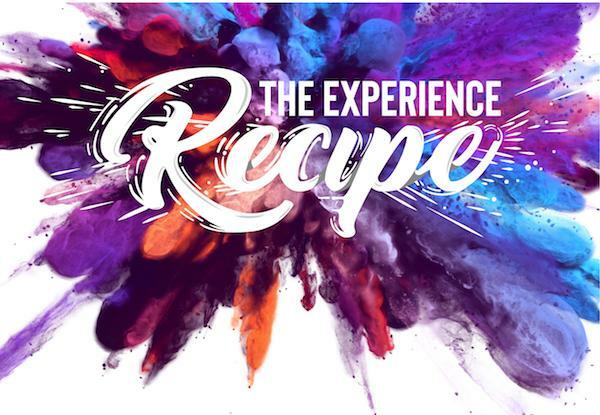 The conference Co-Chairs developed a list of "Mixologists" (Curators) to lead and drive each of the Experience Recipe "Ingredients" (Topics). Technology and digital development are playing a major role in creating immersive experiences across the themed entertainment space. From theme parks and theatre to mobile apps and marketing, technology has unleashed our ability to tell stories on completely new levels. A cross-section of the industry will share examples, successes and opportunities in the ever-evolving quest to engage audiences . 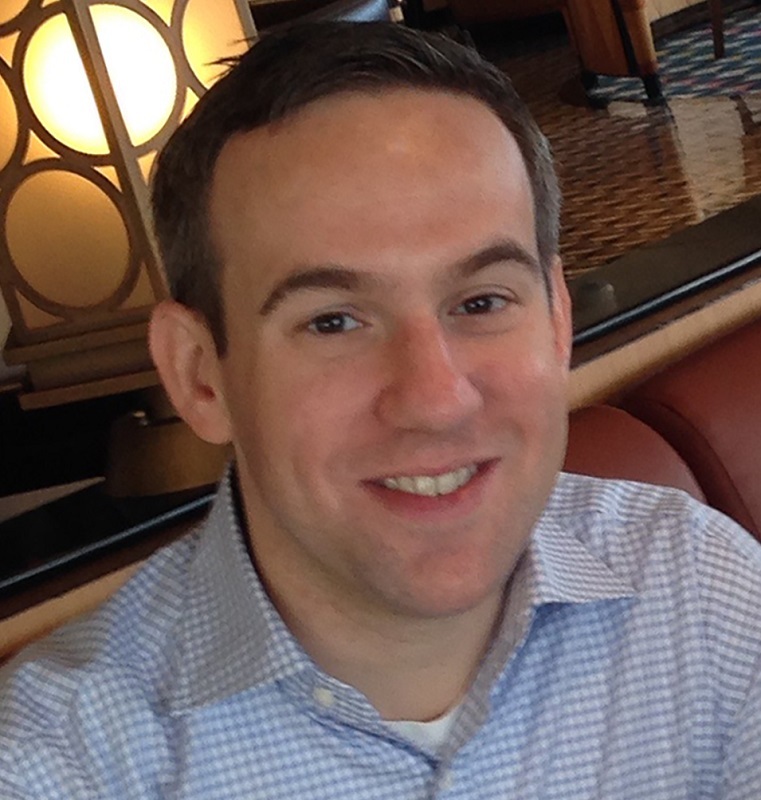 MIXOLOGIST - Craig Feldman, Creative Director, Be Amazed Media – Craig is an executive producer and project leader whose experience spans the attractions, entertainment, and travel industries. 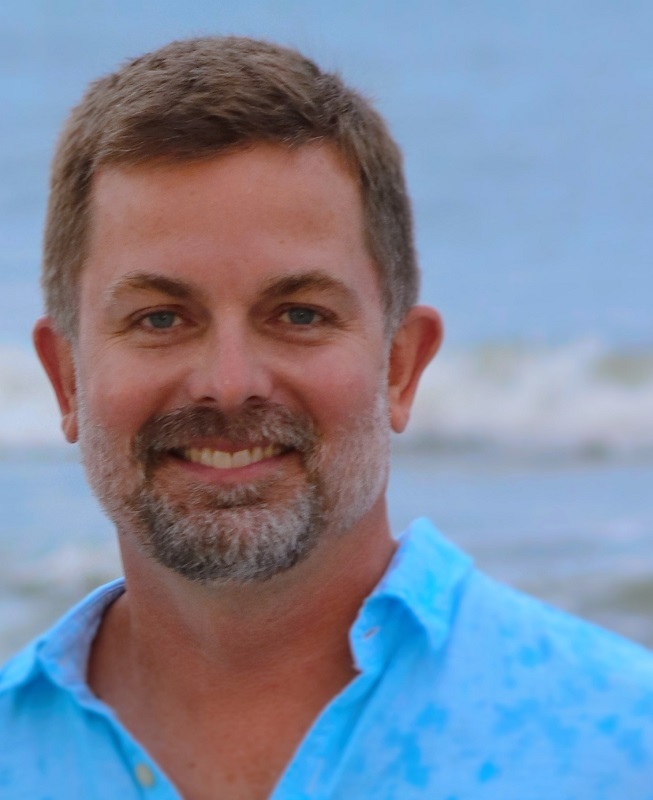 At Carnival Corporation, Craig helmed a new original content strategy, producing engaging TV series for ABC, NBC, The CW, and A&E with Carnival brands and destinations as the backdrop. Prior to that, Craig spent some 15 years at Disney Parks, leading business and technology projects that drove major improvements in the overall vacation experience. He founded boutique agency Be Amazed Media two years ago to consult with global companies on branding, design, and experience development. Scott Gordon, Director, Worldwide Marketing, Warner Bros. Consumer Products - Scott is a digital media executive creating products, content, and experiences for top media companies. Beginning his career with Walt Disney Parks & Resorts, he went on to work at Nickelodeon, Random House Children’s Books, and Disney Consumer Products. 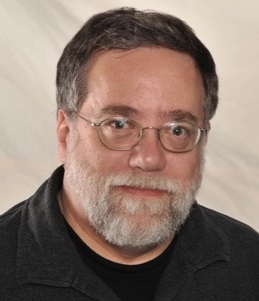 At Warner Bros. Consumer Products, he is responsible for omnichannel digital marketing campaigns representing DC Comics, Looney Tunes, and other Warner Bros. franchises. 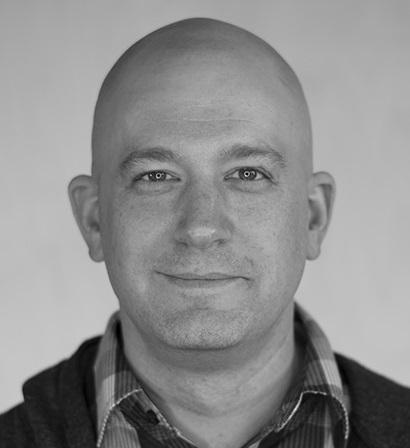 From websites and apps, to short-form video and AR activations, Scott’s work blends creative storytelling with the latest technologies to bring beloved characters and properties to life. Joseph Lucius, Global Director of Events, Tom Ford Beauty – Joseph is a show director and producer who, for more than a decade, has contributed to the entertainment, luxury fashion, and prestige beauty industries. For Tom Ford Beauty, Joseph leads creative development and strategy of brand events and experiences worldwide. 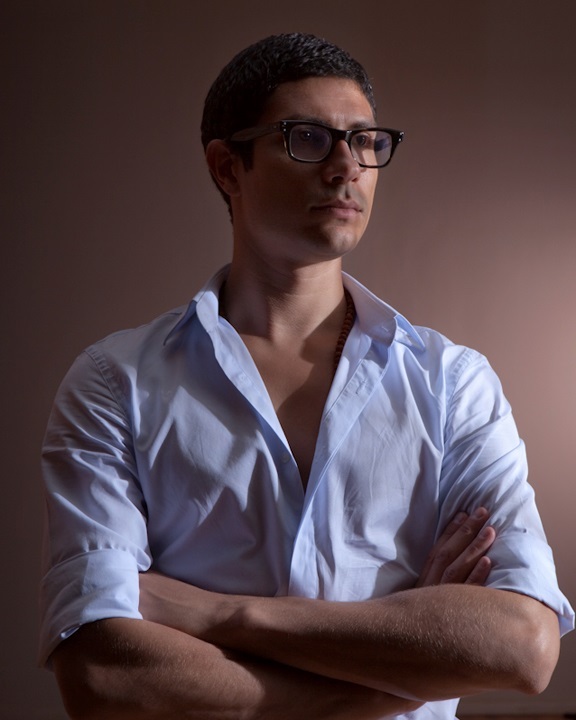 Previously, Joseph served as Executive Director of Production for CS Global, a creative event agency with offices in New York, London, and Shanghai. Joseph began his career as an entertainment performer at Walt Disney World and Tokyo Disney Sea where his foundation and perspective on storytelling and immersive environments was established. 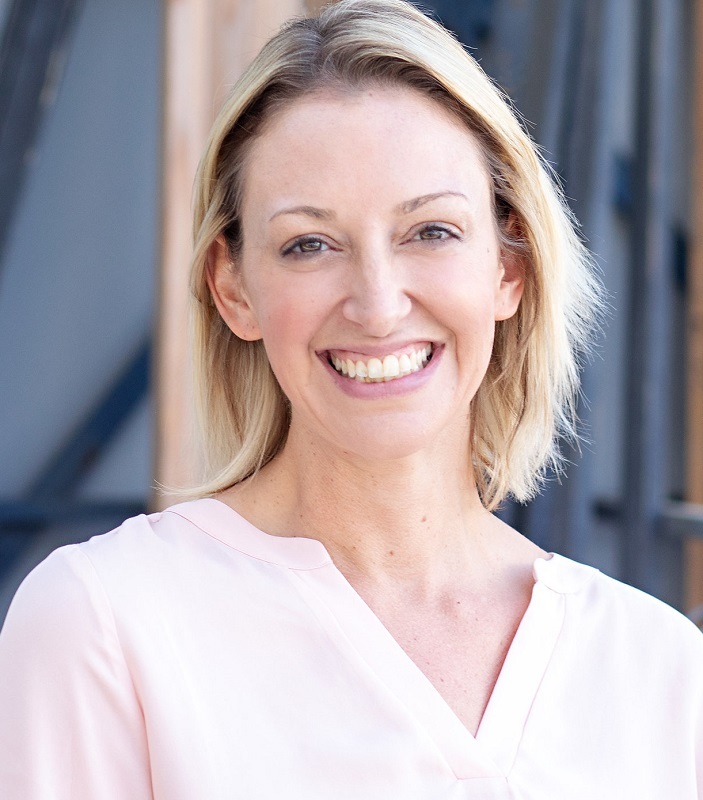 Christi McCorkle, Chief Marketing Officer, Hoylu – Christi is an executive product and marketing leader with a passion for connecting the digital and physical worlds of theme parks, entertainment, and cruise ships. 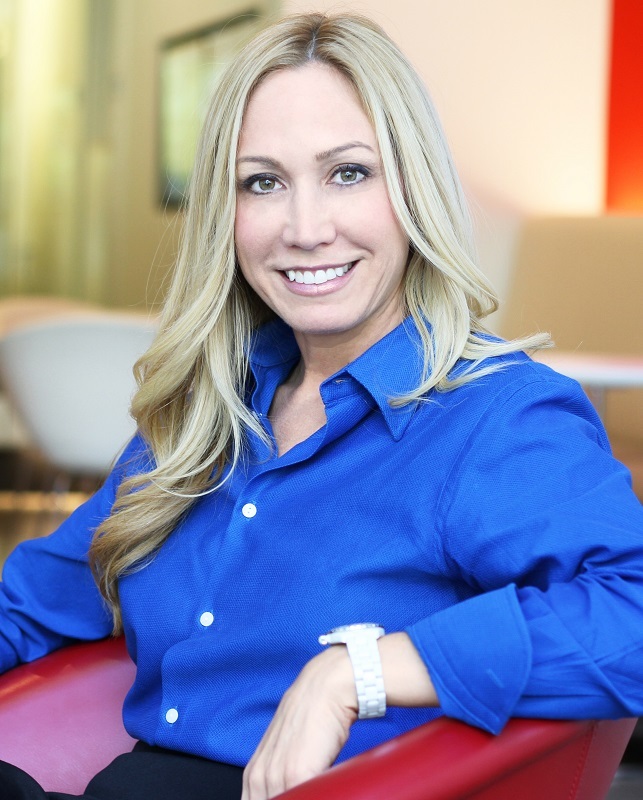 She has led many large-scale product transformations at Disney Parks worldwide and Carnival Corporation that removed friction to create more seamless and holistic experiences. Christi’s focus on drawing Guests into immersive stories through a balance of Creative, Technology, and Operations has yielded exceptional results and one-of-a-kind experiences. Today, Christi works with global brands to create simple, seamless, and hassle-free interactions for consumers and employees throughout a variety of industries. With real life as our starting point, how do we incite wonder in the lives of our guests? Our discussion will consider key points along the journey from scientific discovery to personal connection with the wild. In a world where more and more people are removed from nature, we will hear from voices that have helped to powerfully bring the public closer to the wild - creating meaning through introducing wonder. William Lange, Principal, Advanced Imaging & Visualization Laboratory, Woods Hole Oceanographic Institution (WHOI) - Bill has pioneered the development of new technologies and imaging techniques to explore, observe, and document the underwater world for over 35 years. A veteran of over 150 scientific expeditions, he was among the first to use ultra-high-resolution systems for scientific imaging and documentary filmmaking in the deep sea. Through his efforts the public has been able to see the ocean in crystal clear clarity, which only a few people have experienced first-hand. 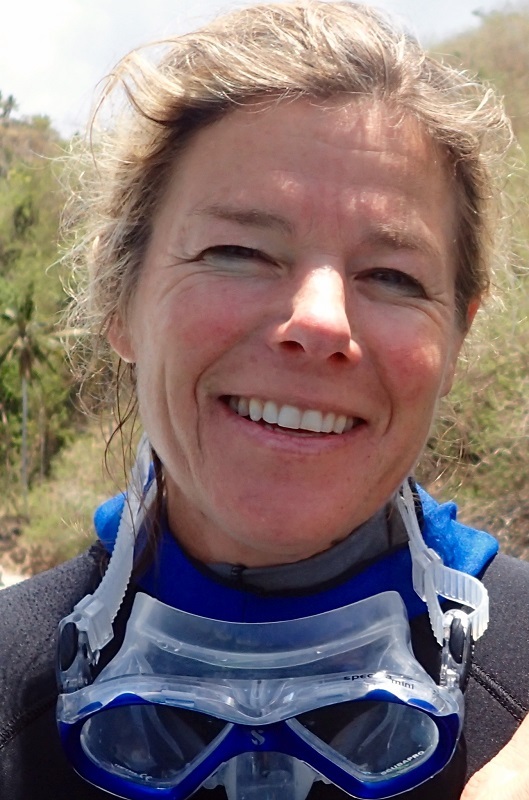 Dr. Tierney Thys, Ichthyologist & Science Communicator, California Academy of Sciences – Marine biologist, science educator, independent filmmaker, National Geographic Explorer and Research Associate, Dr. Thys’ marine research focuses on giant ocean sunfish, with current study sites in Galapagos and Indonesia. She was past director of research at Sea Studios Foundation, a scientist-filmmaker collaboration producing NSF-funded media to raise awareness of environmental issues. 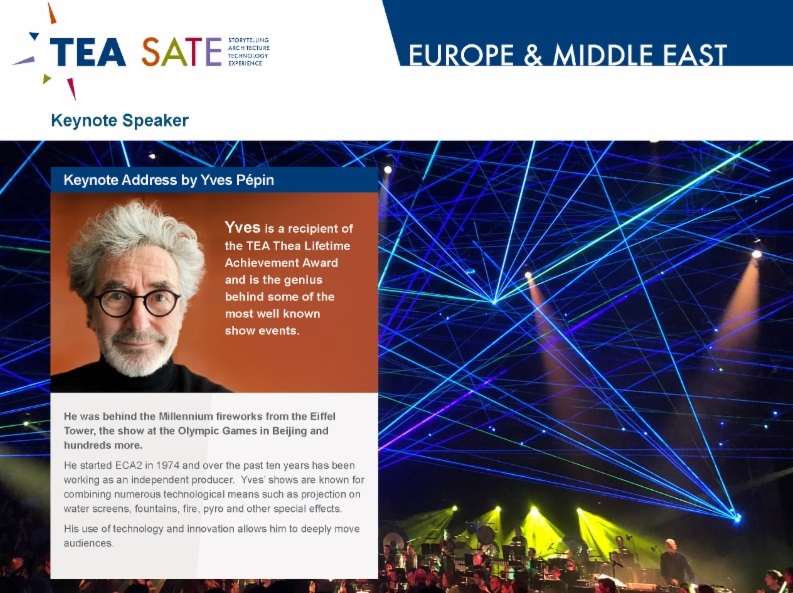 Thys has produced and written numerous award winning TEDed lessons. She is Daily Explorer in the online kids’ world, Animal Jam. Thys serves on the advisory board for Think Beyond Plastics and lectures for National Geographic Expeditions. Entertainment costume design is akin to an up-close magic trick - it should fill you with awe and delight, look effortless and be repeatable. Fantastical costume is not new - we are all exposed to it in film, theatre, and fashion. A show costume does not have the benefit of a controlled environment or CGI to achieve its effect, but audiences nevertheless expect a similar visual experience. These experts will discuss how to convey that magic. MIXOLOGIST - Mirena Rada, Mirena Rada Costume Design – Mirena has established herself as one of the most versatile costume designers working today. Her ongoing implementation of cutting edge technology across multiple mediums has helped influence the perpetual, creative evolution of the field itself. 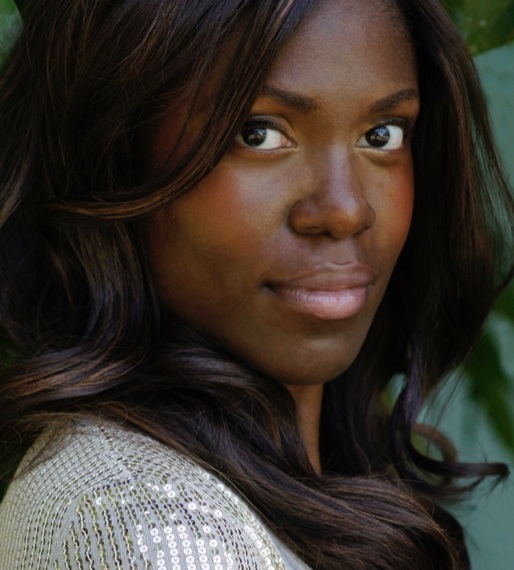 Armed with a diverse background in theatre, circus, dance, film and fashion, Mirena combines a vast array of cultural references and work methods with extensive experience. 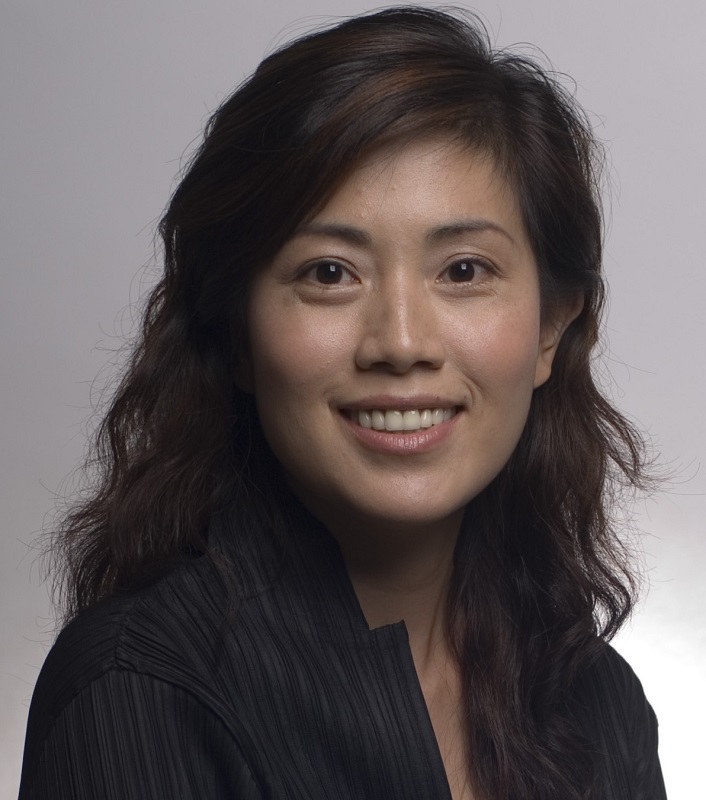 Projects include: large-scale spectaculars/parades for Disney, Chimelong, SeaWorld, Busch Gardens, Feld Entertainment, Broadway Asia, Samsung Everland and Ocean Park Hong Kong; and theatrical highlights for Big Apple Circus and Avenue Q.
Virginia Chu, Managing Director and Founder, Limelight Costumes – Costume designer and construction specialist Virginia Chu has been honored for her work with Hong Kong’s Best Costume, and has 25+ years creating cutting-edge and inspiring costumes that provide strong visual support with comfort, flexibility and durability. Limelight was founded in 2006 to support the global themed entertainment industry with full costuming services including consulting, design and production, and wardrobe management for parades, shows and more. 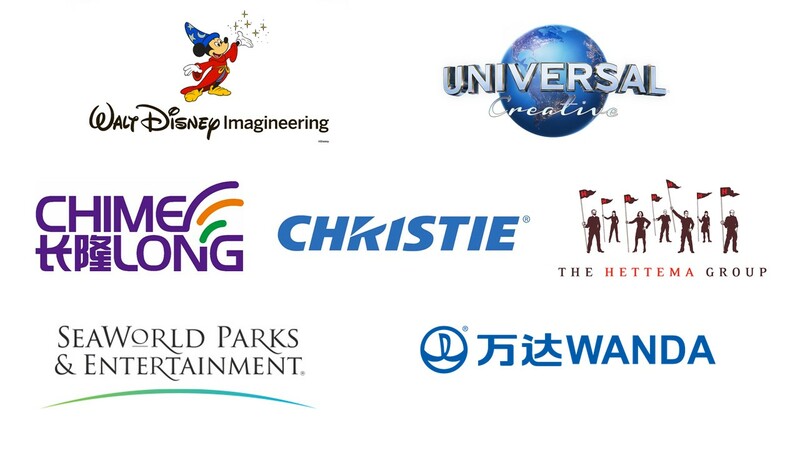 Recent clients: Hong Kong Disneyland, Disneyland (California), 20th Century Fox World (Malaysia), Universal Studios Singapore, Dubai Parks and Resorts, Chimelong Ocean Kingdom and Norwegian Cruise Line. 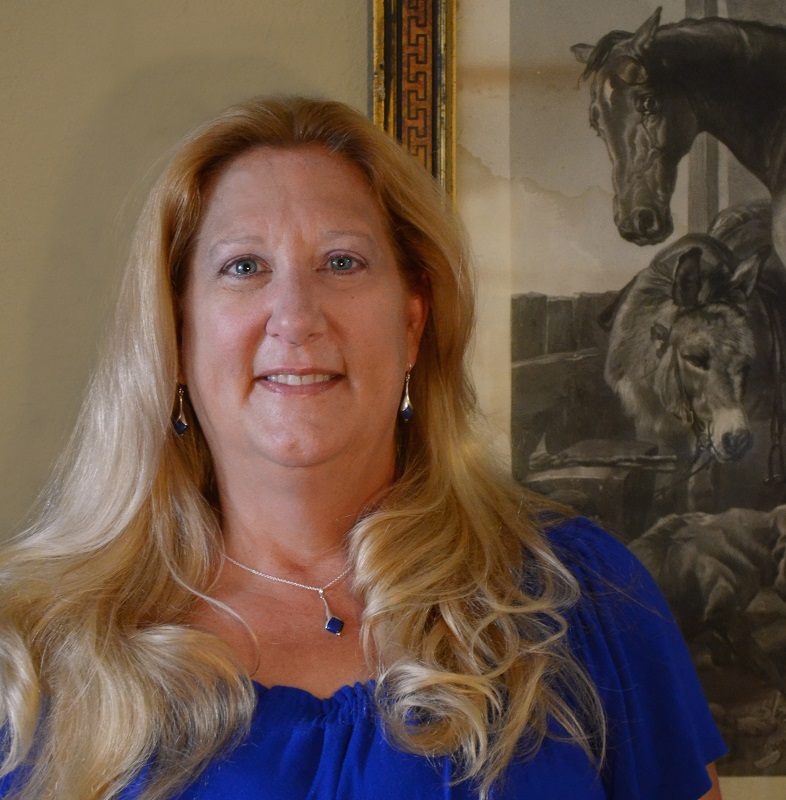 Lisa Hanusiak, Materials and Process Engineer, Disney Parks Live Entertainment - With a B.S. of Materials Engineering from Virginia Tech, Lisa spent the first 24 years of her career in aerospace R&D developing advanced composites for defense and space, with one of her patented materials used in the launch of the last Hubble Space Telescope mission. In 2005, Lisa fulfilled a lifelong desire to work for Disney. Her work emphasizes emerging material technologies for character costuming. One area of focus has been to research materials being developed for rapid prototyping, exploring how this technology can transform costume design and development. 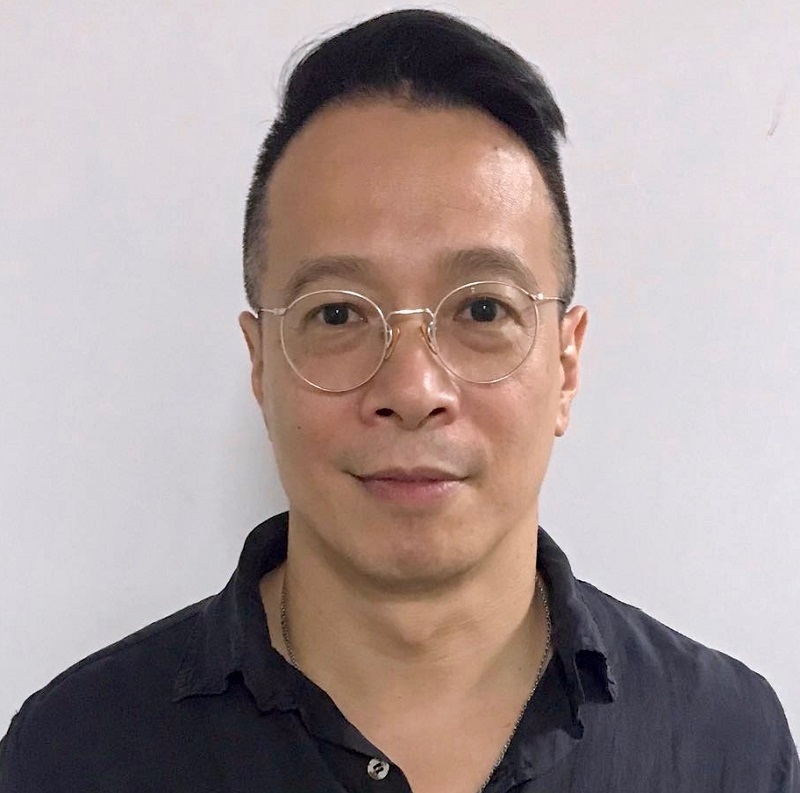 Suen Hok Man (Jake Suen), Managing Director and Founder, Topright Optoelectronics Ltd. - Topright has specialized in turnkey projects incorporating multiple light elements, for some 20 years. The company’s main expertise is to provide full solutions for a wide range of bespoke wearable lighting projects. Their work incorporates complex technical ideas, utilizing custom-designed software and material processes in addition to distilling them into user-friendly, reliable and safe products that fulfill the design concept vision. 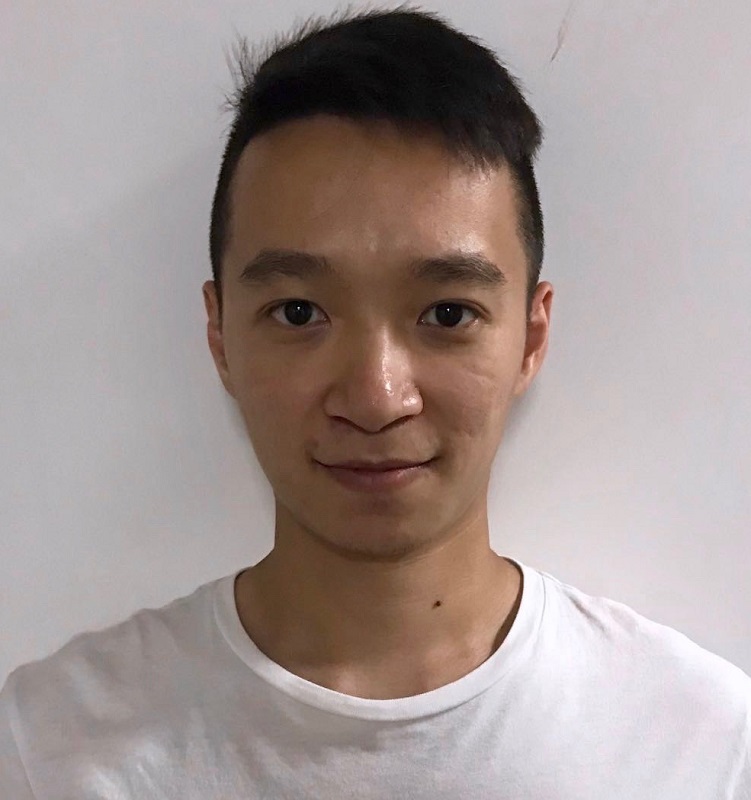 Suen Cheuik Tai (Jason Suen), Project Director, Topright Optoelectronics Ltd. - Jason is highly experienced in wearable lighting project management . He has extensive knowledge of fabrication as well as production methods for creating a wide range of wearable light elements. Strong and inspiring leaders are often the secret ingredient to any organization or project. Going beyond just a title, leadership is critical to using technology to connect and engage, storytelling to encourage and extend boundaries of what is possible, and the architecture behind building strong and diverse teams. MIXOLOGIST - Melissa Ruminot, Director, Marketing & Business Development, Nassal - Joining themed entertainment six years ago from the finance industry, Melissa developed a love for all things attractions – from a new theme park land, to a new habitat for African Elephants, to the display of a 250-year old artifact in a new museum exhibit, to simply being part of an industry that tells compelling stories in memorable ways. 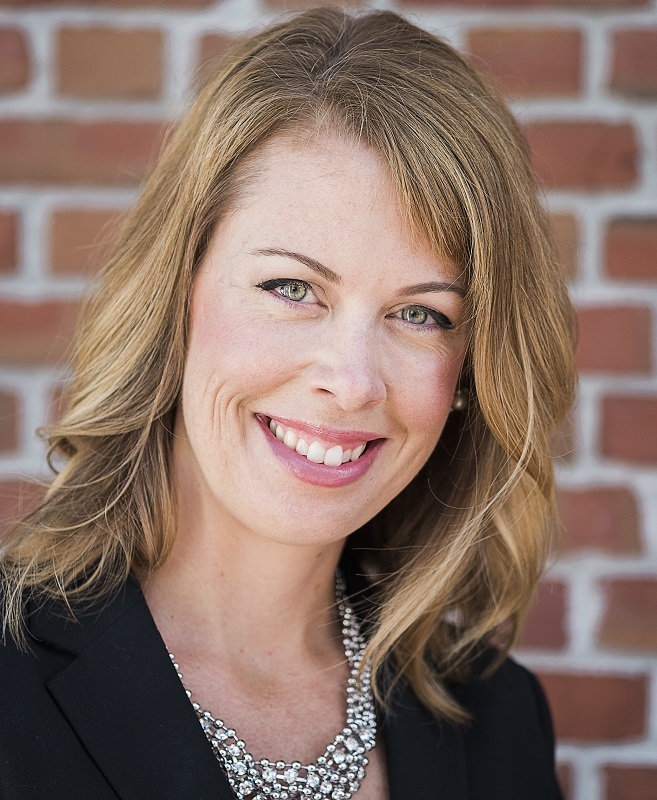 Melissa currently serves as President of the TEA Eastern North America Division of TEA. At Nassal, she is part of an award-winning scenic and theming company in Orlando and Los Angeles. Fri Forjindam, Chief Development Officer, Mycotoo, Inc. - Fri brings passion and enthusiasm to the arts of storytelling and placemaking for multiple industries, having created distinctive guest experiences in film, theatre, publishing and special events. As a featured consultant expert on national networks including KTLA, FOX and Huffington Post, Fri is also Founder and Editorial Director of Nouveau Media Group, LLC, a premier online and print global lifestyle publication. 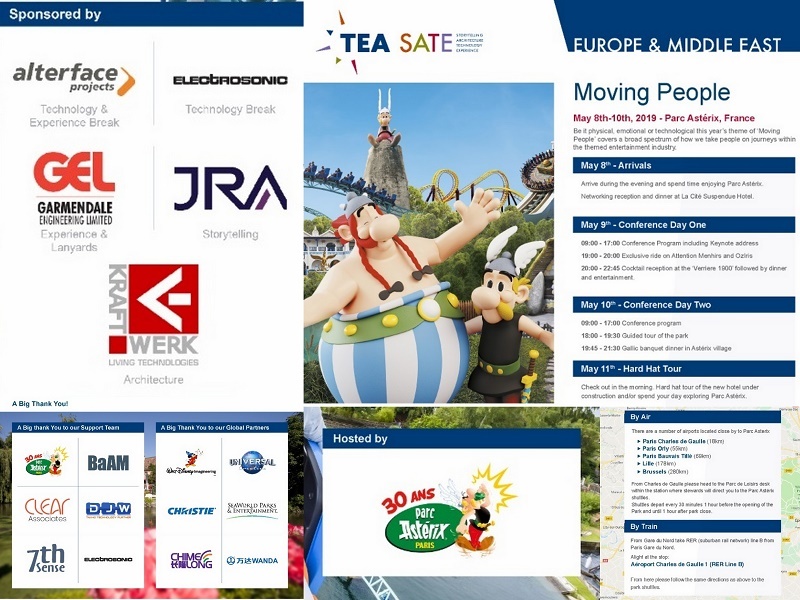 Fri was recently named among the Top 50 Influencers in Theme Parks, by Blooloop. 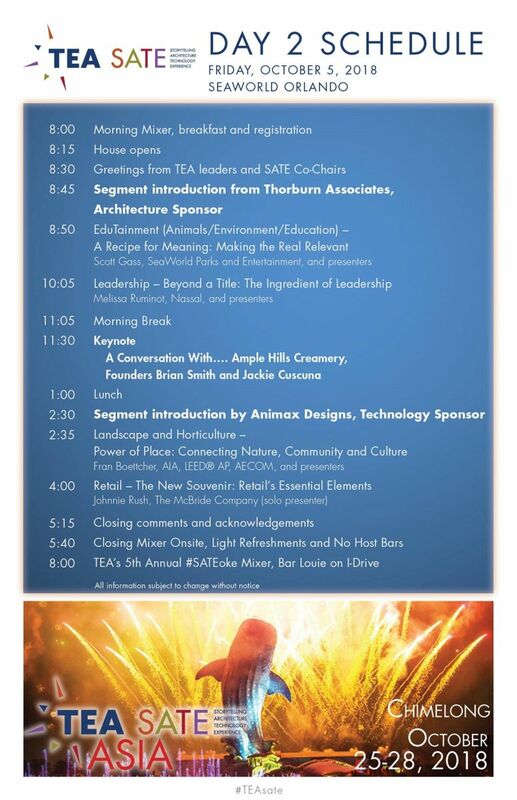 Fri sits on the advisory board for Harriet B’s Daughters, and the Board of Ryman Arts Foundation. Kirstie McCool-Chadwick, CEO, CityBuilders - CityBuilders works with community and business leaders on strategies for developing entrepreneurial-driven innovation economies in their regions. Before founding CityBuilders, Kirstie was President & CEO of the International Business Innovation Association, a global non-profit serving 900+ business incubators, technology accelerators and economic development agencies in over 60 countries. 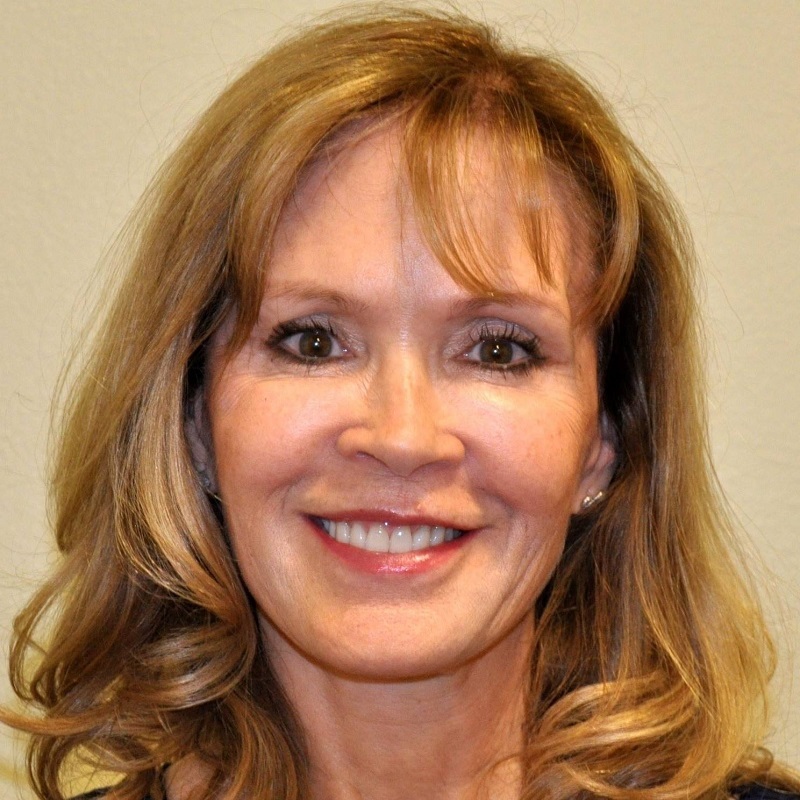 With over 25 years’ experience in executive positions at large technology companies, as well as venture-backed technology startups, Kirstie is the recipient of Orlando Business Journal’s Women Who Mean Business Award, the Working Woman Entrepreneurial Excellence Award, and the Dr. W. Judson King Entrepreneurship Memorial Award. 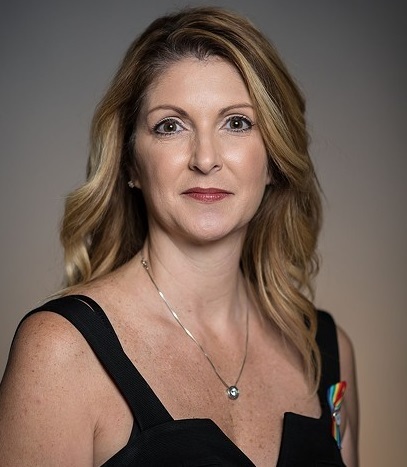 Barbara Poma, CEO/Executive Director, onePULSE Foundation - On June 12, 2016, Pulse Orlando nightclub became the scene of the nation’s worst mass shooting in modern American history. Club owner Barbara Poma, was, with the rest of the world, rocked into a new and unimaginable reality that carried immeasurable loss and hardship. Since the loss of her business, she has shifted focus to preserving the memory of those who lost their lives, survivors and their loved ones. onePULSE Foundation, Inc. is a 501(c)(3) established to oversee a community initiative to create a permanent memorial to Pulse and those who perished. How do we make the right choices to create the most high impact experiences? Especially in a time where the lines between themed entertainment platforms are so blurry and quickly changing along with audience expectations and established creative processes. Having a North Star, an underlying way of thinking that is untethered from the specific development process associated with a medium, client, project, or platform, is key. 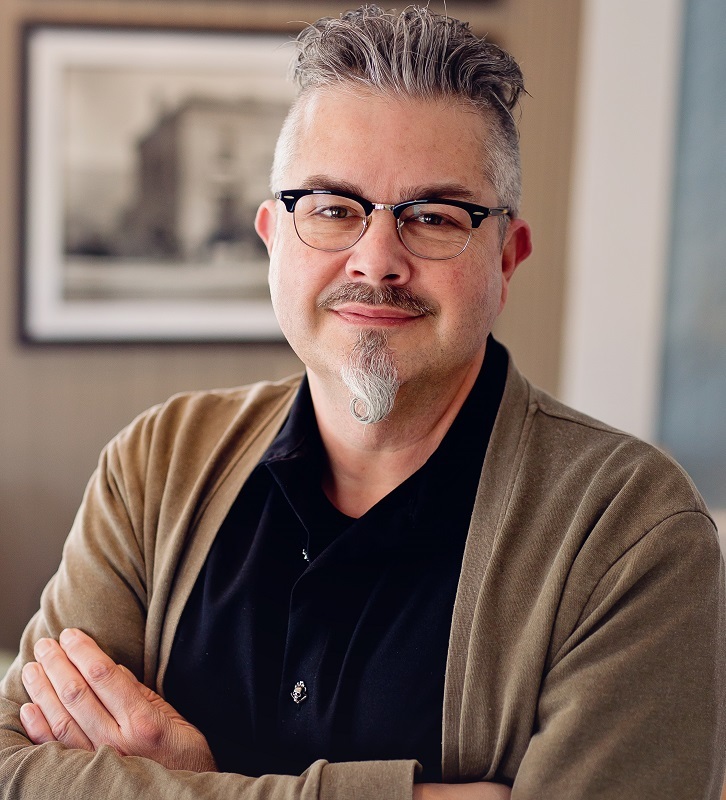 MIXOLOGIST - Gary Wichansky, CCO and Head Creative Director, Hotopp Associates - Gary grew up as a “theater kid,” obsessed with design and production, a foundation that set the stage for his belief in collaboration and love of the craft. After receiving a master’s degree in Theatrical Design, Gary worked across multiple industries as a designer, fabricator, and leader. He joined entertainment design firm Hotopp Associates in 2003. Gary has been proud to work with many great partners including SeaWorld, Gaylord Entertainment, WOW!Works, NBC Sports, Walt Disney Entertainment, Immersive Artistry, and more over his 25-year career. Chuck Fawcett, President/Chief Executive Officer, Animax Designs, Inc. - Emmy Award-winning Chuck Fawcett is a creator of unique entertainment featuring innovative characters that bring stories to life. In 1989, Chuck founded Nashville-based Animax Designs, with a simple mission: to create extraordinary animatronic figures, interactive characters, animated costumes, and puppets utilizing leading-edge technology and superior craftsmanship. With over 130 highly-skilled employees, Animax serves a global clientele in themed entertainment, live attractions, location-based entertainment, commercial, film, and television, including The Walt Disney Company, Nickelodeon, NBC/Universal, Warner Bros., Sesame Workshop, Viacom, Six Flags, Feld Entertainment, and SeaWorld Parks & Entertainment. 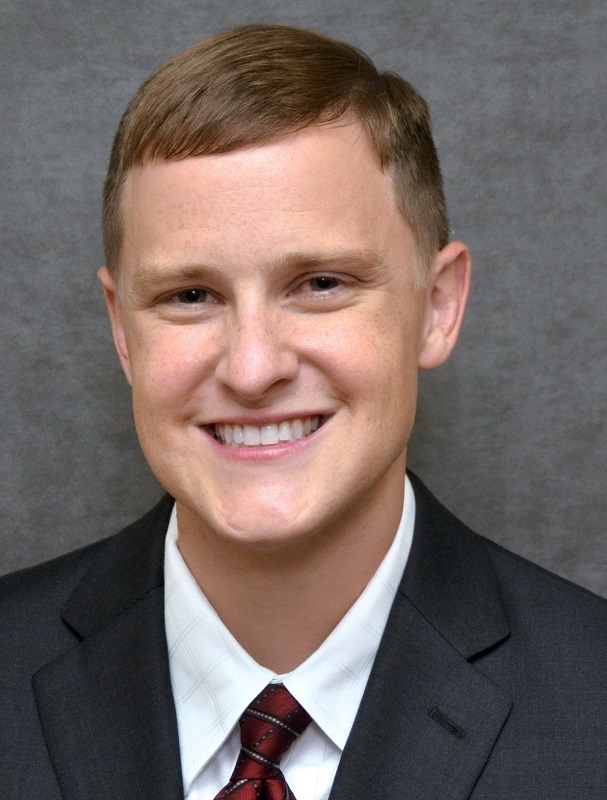 Andrew Habel PE, Regional Director, McLaren Engineering Group - Andrew is a professional engineer specializing in structural design of entertainment structures. He is based in McLaren Engineering's Orlando office. Examples of entertainment projects on which he worked include design of scenery inside of attractions at theme parks, design of theater rigging, design of structure supporting loads from show action equipment, design of show sets for touring concerts, design of mobile stages, design for temporary live events, and design for marine-based shows. His experience in the entertainment industry and creative approach coupled with a strong structural design background make him an asset on entertainment projects. 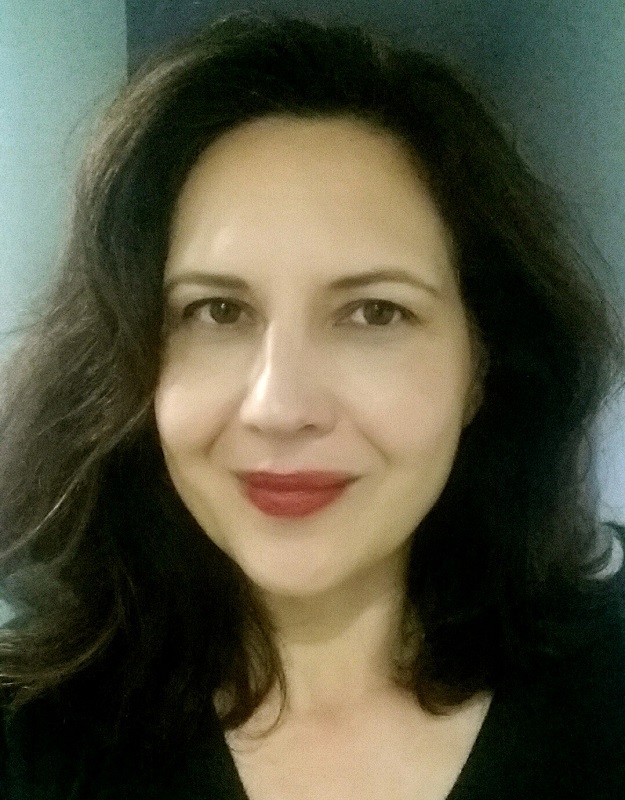 Colette Piceau, Creative Director/Writer, It Ain’t Shakespeare, Inc. - With 20+ years’ experience as show writer and creative director, Colette’s projects include Universal’s Volcano Bay, SeaWorld Orlando’s Antarctica: Empire of the Penguin, and Silver Dollar City’s Time Traveler. With It Ain’t Shakespeare, she has contributed to award-winning shows and attractions for WDI, Universal Creative, SeaWorld, Busch Gardens, Herschend Family Entertainment, and WOW!Works. Colette has also written Emmy award-winning episodes of Jack Hanna’s Animal Adventures and ShamuTV. Currently, she is head writer for Kind Heaven, an immersive experience set to open in 2019 under the direction of Hotopp Associates. See experiential design through a client lens and deconstruct the myths we tell ourselves about what they want. Gordon Dorrett of FORREC Ltd. will head a discussion with innovative international developers who share what resonates (or doesn’t) for them in hyper-competitive, mixed-use design. 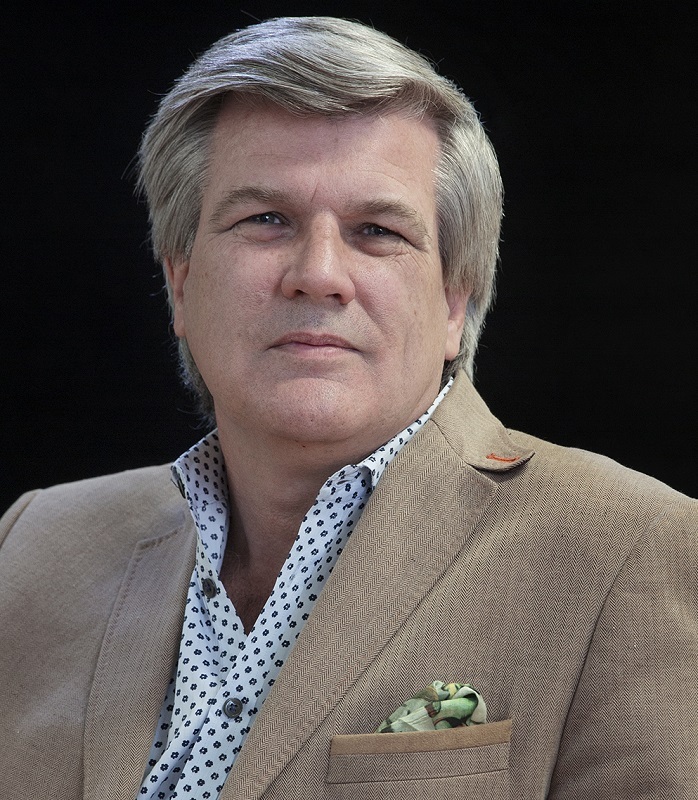 MIXOLOGIST - Gordon Dorrett, Executive Director and Past President, FORREC Ltd. – With FORREC, a global entertainment design leader, Gord keeps a watchful eye on global trends in the entertainment industry and applies 30+ years’ experience to supporting FORREC’s entertainment projects worldwide. After graduating as a landscape architect, Gord worked in smaller firms, followed by a year in Nigeria doing small town planning. He joined the precursor to FORREC and set up and ran the London, UK office for four years. He has helped create the company FORREC is today by responding to the burgeoning needs of the entertainment design industry. 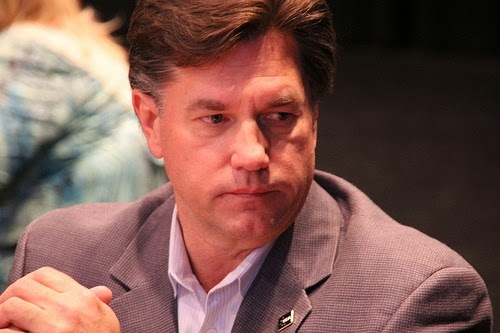 James J. Bagley, CEO, Citicommunities - An industry leader in destination resort development, Citicommunities is one of the largest producers of vacation rental product in the US. Vertically integrated into Citicommunities are land development, homebuilding, hotel, retail and waterpark construction and vacation rental management. Destination resort projects are located in Orlando, Myrtle Beach, Pigeon Forge/Gatlinburg and Hilton Head. 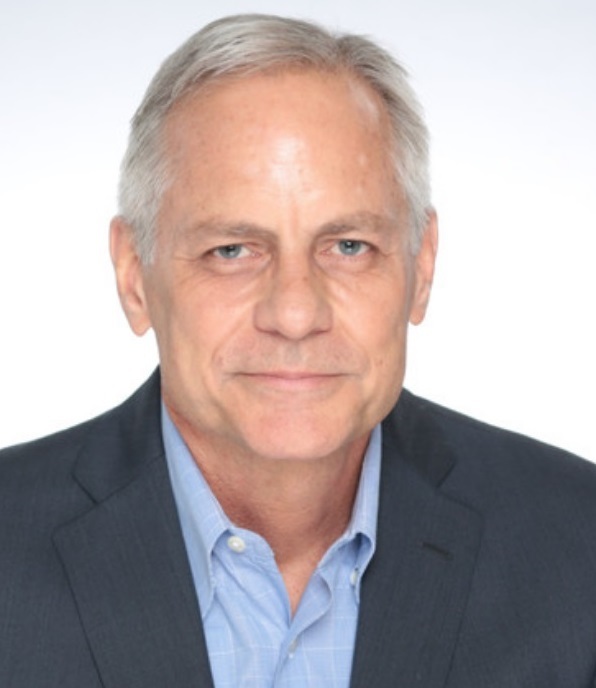 With three decades’ experience, Mr. Bagley holds professional licenses in law, real estate brokerage, and construction. 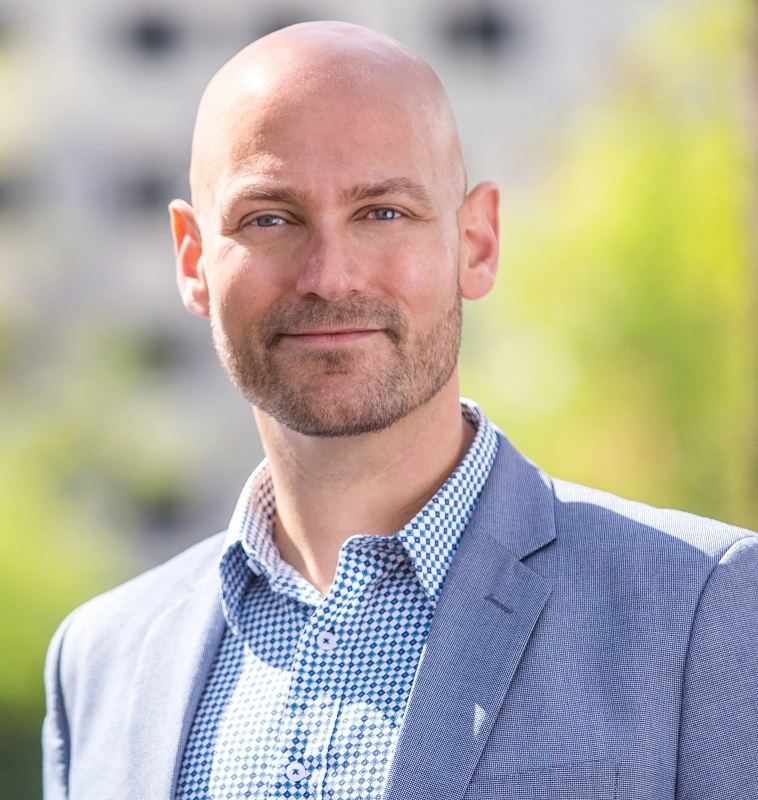 He lectures and writes about real estate with recent engagements including Builder Magazine, Big Builder Magazine and Urban Land Institute and major financial institutions. 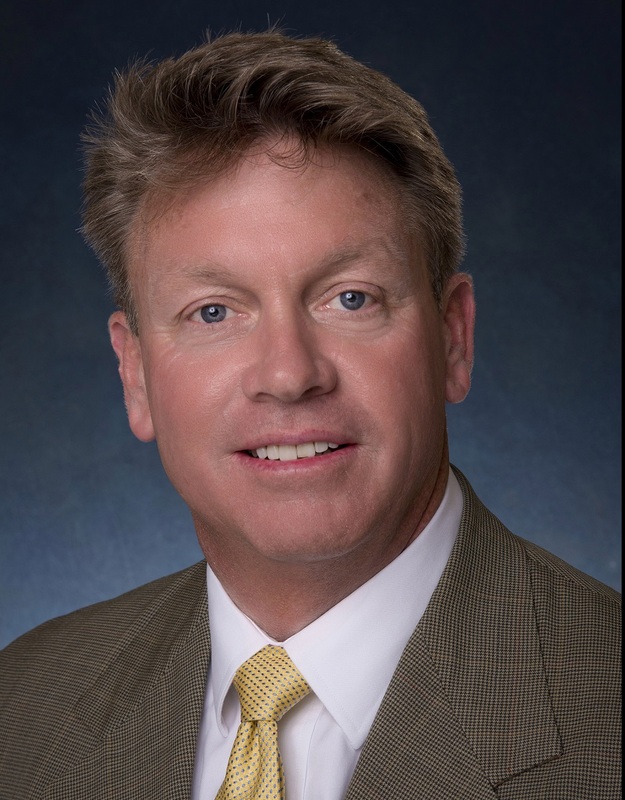 John Ott, Vice President, Development, Bayshore Capital - John has a broad knowledge of the development business, managing at-risk construction and real estate development projects, and currently has responsibility for Bayshore Capital’s projects in Florida. Bayshore Capital’s focus is investing in technology and financial services companies and developing real estate, their holdings including multiple oceanfront development sites in the Daytona Beach area. Most recently John led the Lake Nona hotel projects for Tavistock Development Company. Previous roles include Director of Hotel Development for Walt Disney Imagineering, and VP of Development for Hard Rock International. Explore the deep texture and landscape of public spaces that utilize the latest technology, design and materials and link people together in a harmonious story driven environment. Fran Boettcher of AECOM will lead an esteemed panel of design professionals who are pushing the boundaries and redefining landscape as we know it. MIXOLOGIST - Francis H. Boettcher, AIA, LEED® AP, Associate VP, Market Sector Leader for Themed Entertainment and Leisure, AECOM – Based in Orlando, Fran Boettcher has a proven track record of success built on progressive leadership roles in architecture and project management, and on large and complex projects in both the US and international markets. 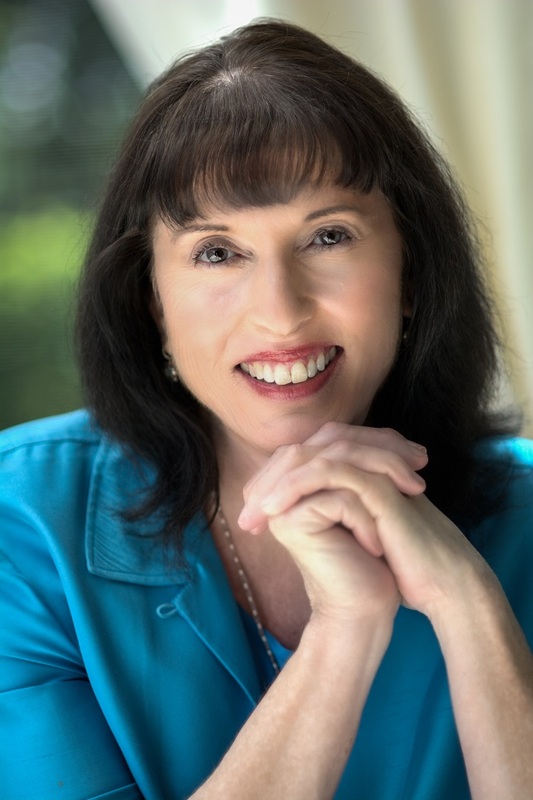 She is highly experienced in the successful adaptation of intellectual properties to themed environments through guest-focused planning and design. 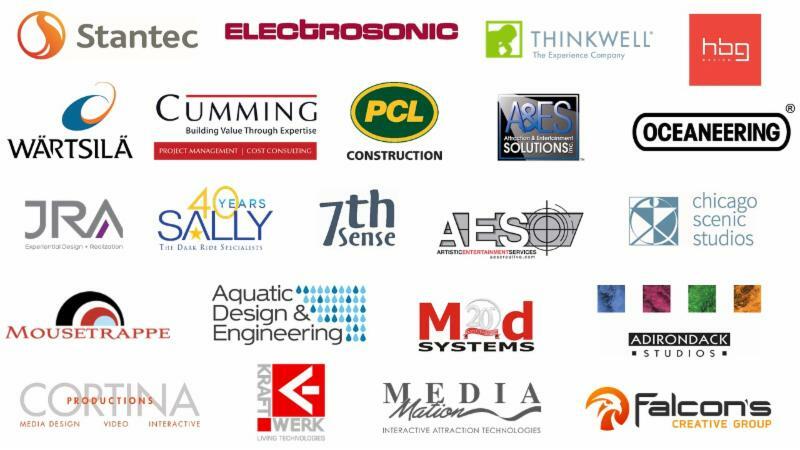 Fran takes a pragmatic, client-oriented approach to project delivery and has been recognized for exceptional results in delivering theme parks, resorts and RD&E destinations on schedule and within budget. 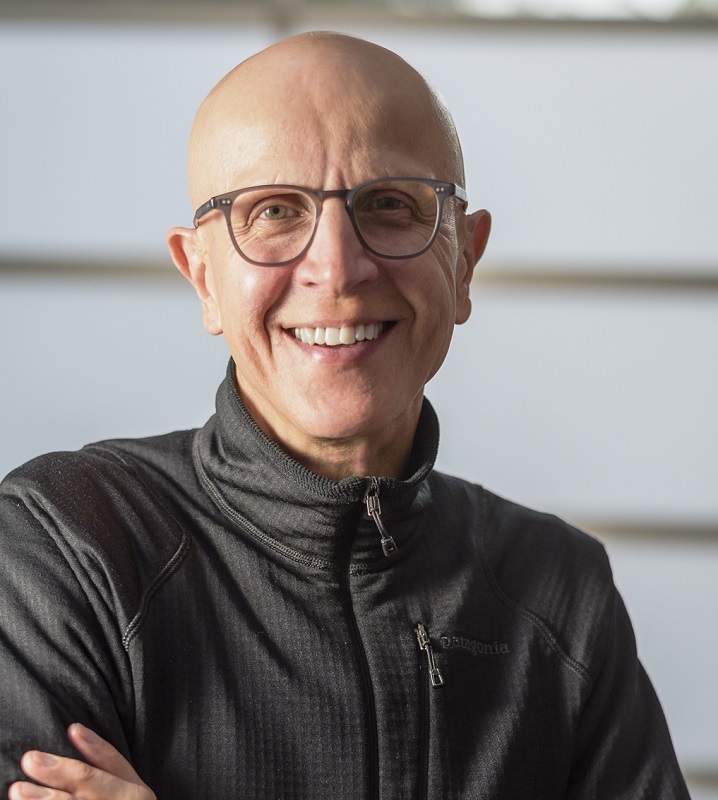 Ignacio F. Bunster-Ossa, ASLA; VP, Landscape Architecture Practice Leader, AECOM - Ignacio has 35+ years’ national and international experience in the planning and design of signature public landscapes, including streets, plazas, waterfronts, urban parks and parkland. Award-winning projects include Georgetown Waterfront Park and Anacostia Waterfront Initiative (Washington, DC); Santa Monica BIG; The Parklands of Floyd’s Fork (Louisville); and Trinity River Corridor (Dallas). 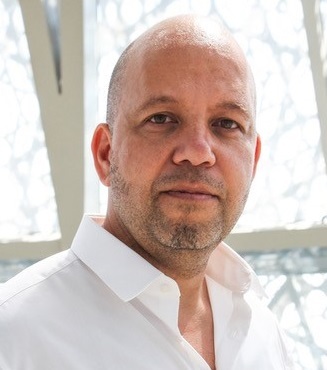 He is a leading proponent of Landscape Urbanism, the planning and design of landscape-leveraged urban places integrating green infrastructure, community participation and public art. 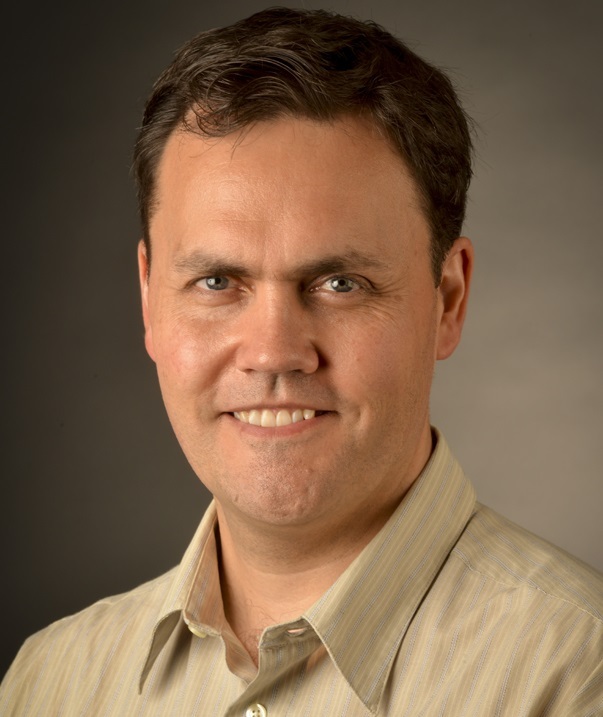 A Harvard Loeb Fellow, he periodically lectures, teaches, writes and serves on design-award juries. 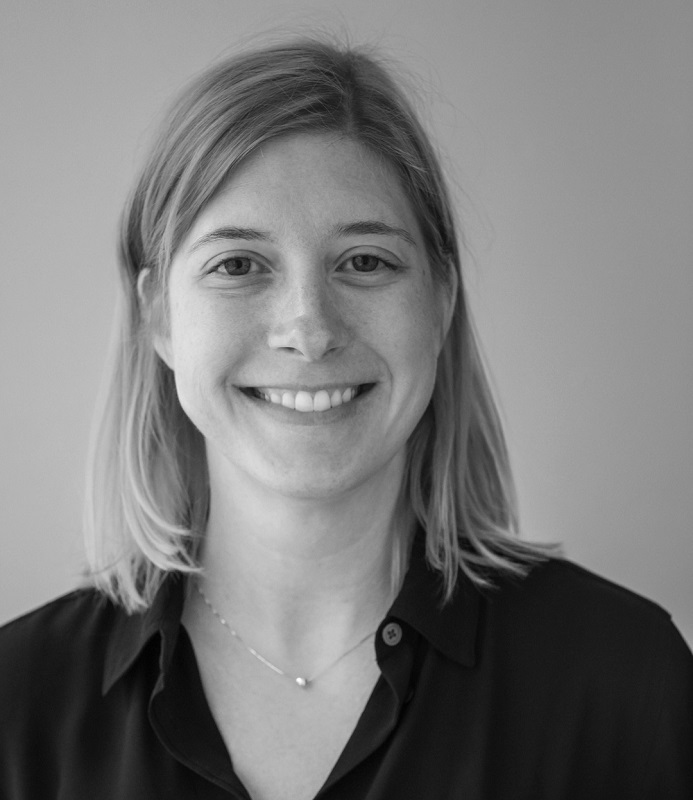 Kate Larsen, Landscape Architect, Architect, Snøhetta - Kate is passionate about the intersection of architecture and landscape architecture and has built a career investigating the ways in which the disciplines can work together to create vibrant, beautiful, and highly functional public spaces. Prior to her time at Snøhetta, Kate worked at several acclaimed practices in both disciplines, including Michael Van Valkenburgh Associates, Rogers Partners Architects and Urban Design, Architecture Research Office,and SHoP Architects. She joined Snøhetta in 2018. Kate’s process aims to create playful spaces that attract and serve diverse user groups, always working to create more equitable spaces through design. Cliff Garten, Artist and Founder, Cliff Garten Studio - Internationally recognized artist Cliff Garten has completed more than 50 sculpture commissions throughout the U.S. and Canada in collaboration with significant architecture, landscape, and engineering projects. Garten’s artistic approach toward civic sculpture explores the expressive potential of infrastructure. By connecting people to places through sculptural material, social history, and ecology, his civic sculptures locate the latent potential within a public space. His sculptures have been consistently lauded by The Americans for the Arts Public Art Network and cited for design excellence by the American Society of Landscape Architects. 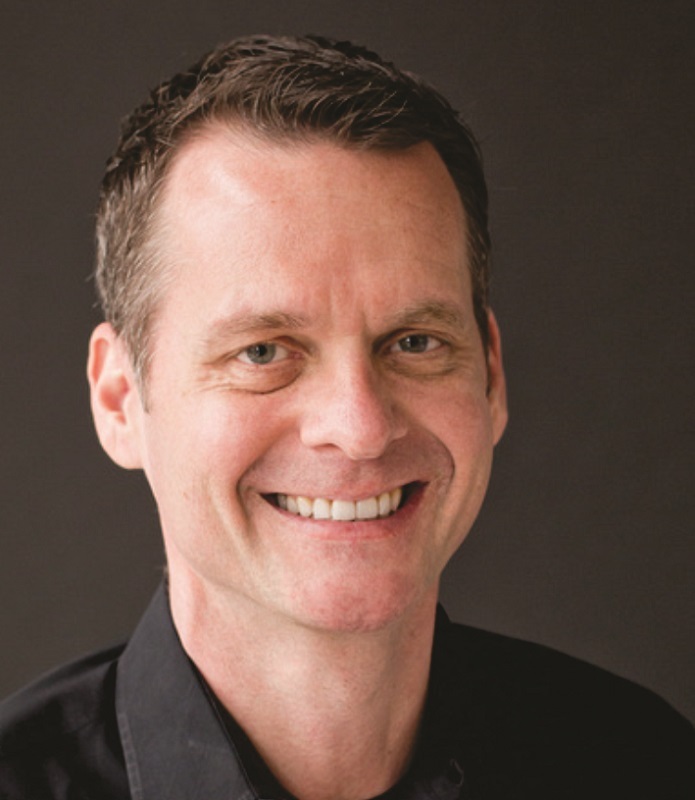 Jerry Van Eyck, Principal, !melk landscape architecture & urban design - Jerry van Eyck possesses an unusual breadth and depth of skills that he applies to every project under his purview. Responsible for some 120 built projects around the world, Jerry led design for the recently completed ZilArt Park in Moscow; “The Park” (first-ever public park on the Las Vegas Strip) and the Barn in West Sacramento. 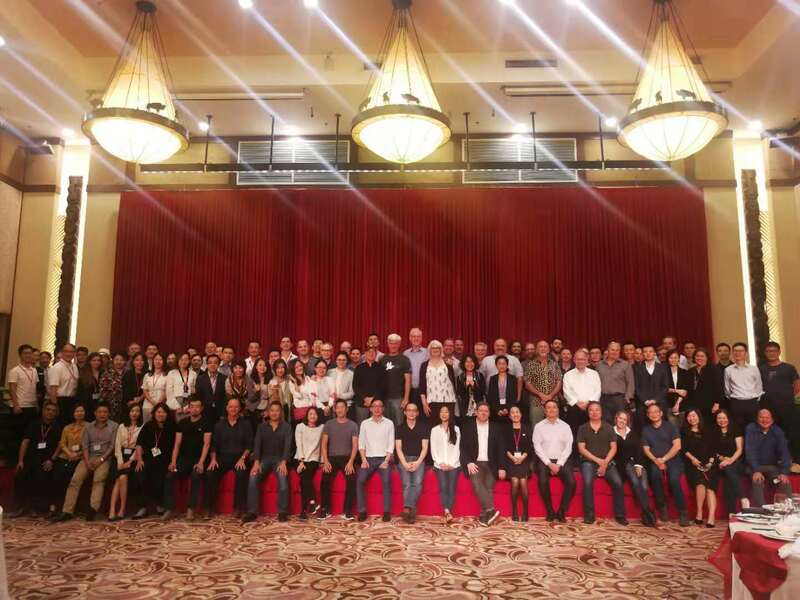 Jerry currently leads design for many prestigious projects including a premier downtown park in Shanghai, as well as the open space network at the iconic Pier 57 in New York City. Gain insight and understanding as to why retail is an essential ingredient to any experience by learning current trends, the mindset of the consumer and solutions for success. The presentation will bring to light the new era of Cool Hunters and how they are upending the retail formula. MIXOLOGIST and SOLO PRESENTER - Johnnie Rush, Chief Business Innovation Officer, The McBride Company - An Architect and 30-year veteran of the retail, commercial and entertainment industries, Johnnie combines business insights and innovative design to produce some of the world’s most recognized branded experiences. He has held senior executive roles with Marriott, Walt Disney Parks & Reports, HSNi and Walt Disney Imagineering. He and his teams have been recognized with over 31 international awards including Retail Store of the Year for The World of Disney. With the McBride Company, he works across all sectors to develop innovative and compelling solutions for a diverse client base. Experience, experience, experience is all the buzz but what does it really mean? Tom Ito of Gensler and Deanna Siller will reveal a multi-year research journey where they explored experience in-depth. Learn their findings and discover unique experiences around the world. 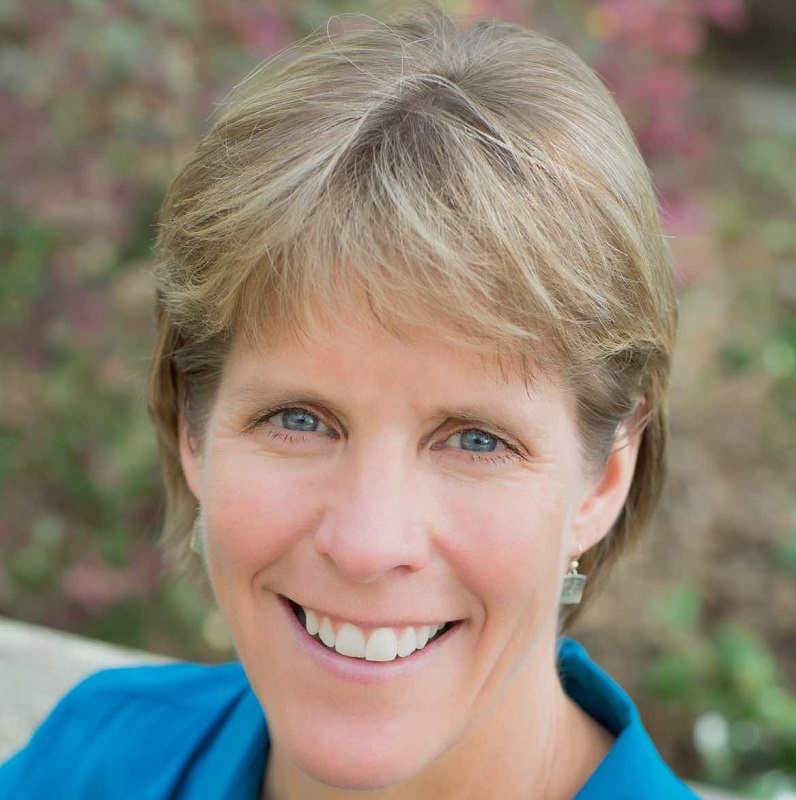 MIXOLOGIST and CO-PRESENTER - Deanna Siller, LEED® AP, Co-Creator, The Strategy+Design Shop - Deanna approaches each project with an understanding of how design can impact business performance and transformation. As thought leader, disruptor and innovator, she is invaluable to design teams across all disciplines. 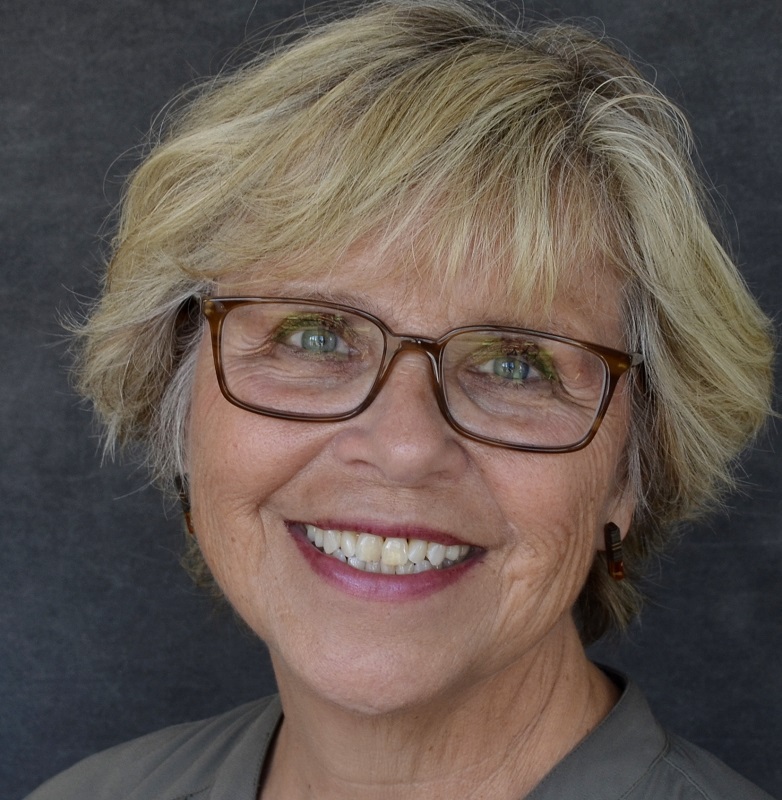 Her work has earned awards from the International Interior Design Association (IIDA), American Institute of Architects (AIA) and American Institute of Graphic Arts (AIGA). A member of the Society for Experiential Graphic Design (SEGD), Deanna holds an MBA from Georgetown University, a B.A. from Bowling Green State University, and she also participated in the Duke University Executive Leadership Program. 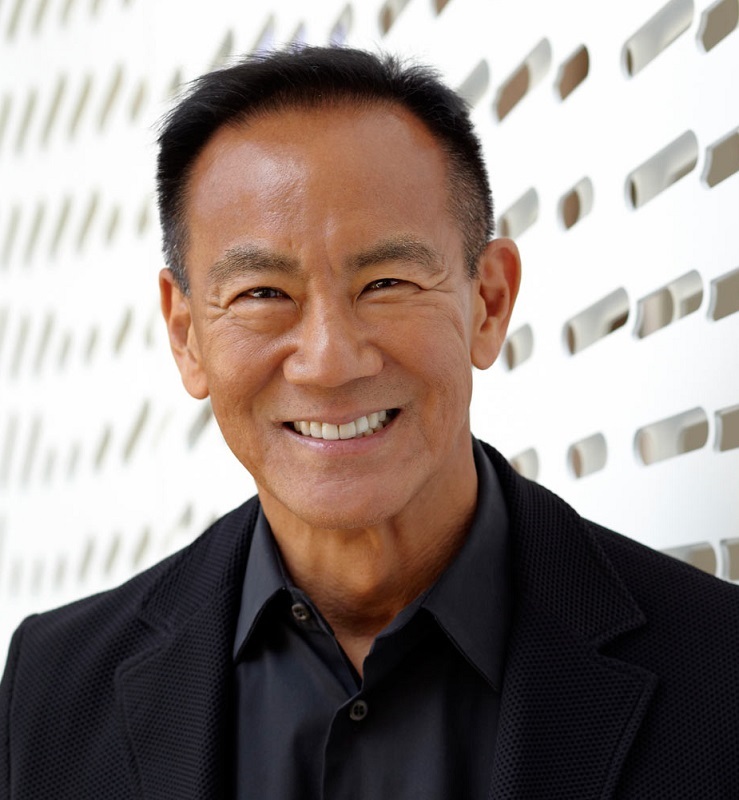 MIXOLOGIST and CO-PRESENTER - Thomas S. Ito, FAIA, LEED® AP, Principal and Global Lifestyle Sector Leader, Gensler - Tom launched Gensler’s hospitality practice in the 1990s and has developed it on an international scale - leading numerous mixed-use, entertainment, master planning, and hospitality projects. His experience as designer, architect, and strategic thinker gives him comprehensive understanding of complex lifestyle projects and insight into delivering outstanding guest experiences. 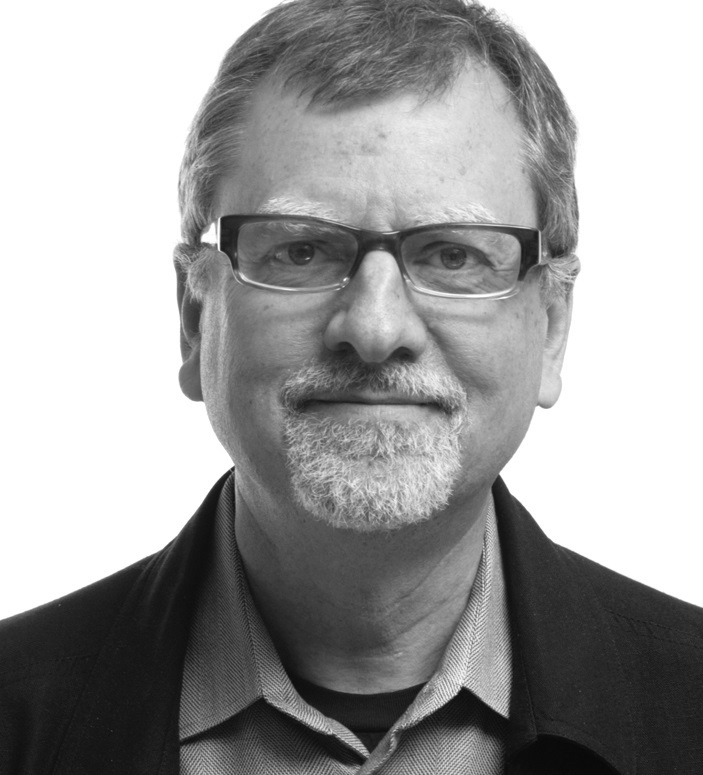 Tom’s commitment to understanding the connection between design, business and human experience is demonstrated through his involvement with Gensler’s Experience IndexSM (EXI), researching new ways to evaluate spatial design, guide projects in innovative ways and measure success. 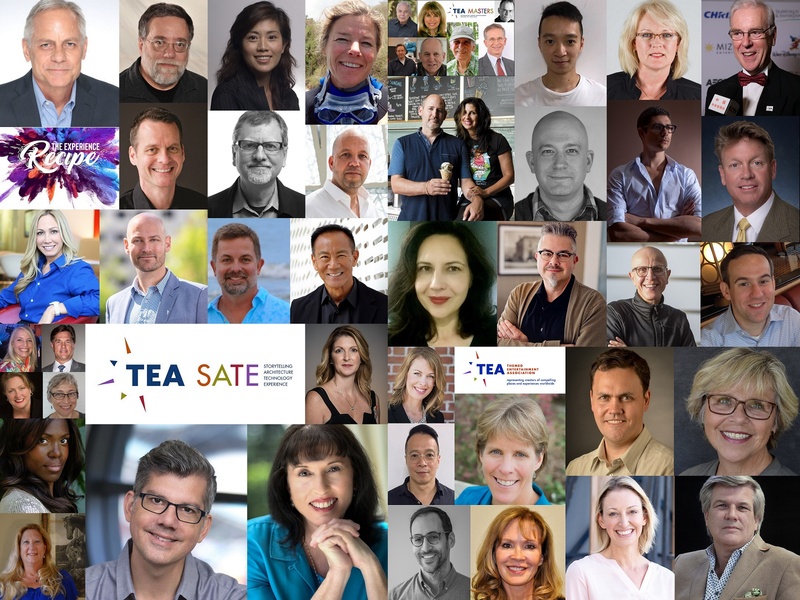 The inaugural slate of TEA Masters will be officially honored and their contributions celebrated on Oct 4, 2018 at TEA SATE Orlando - SeaWorld, where they will also be presenters on an educational panel, moderated by TEA Founder, Past President and TEA Masters Committee Chair Monty Lunde of Technifex. 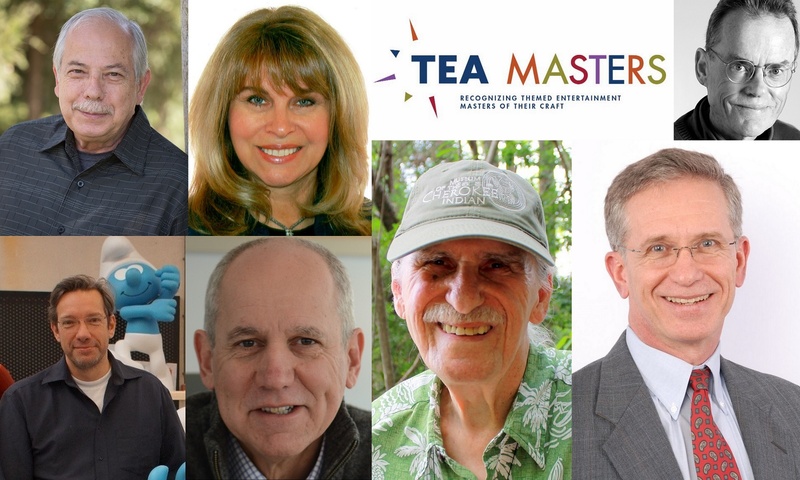 Click for more information about the 2018 TEA Masters and the TEA Masters program. TEA MASTERS PANEL MODERATOR Monty Lunde, President & Co-Owner, Technifex; TEA Founder; TEA Masters Committee Chair - As founder of TEA, Monty inspired, motivated and organized his colleagues to recognize their collective interests and form an association that defines and helps shape the evolving, global attractions industry. Through its programs and activities, TEA fosters better understanding and relations between clients and suppliers, sharing best practices and creating avenues of professional development. 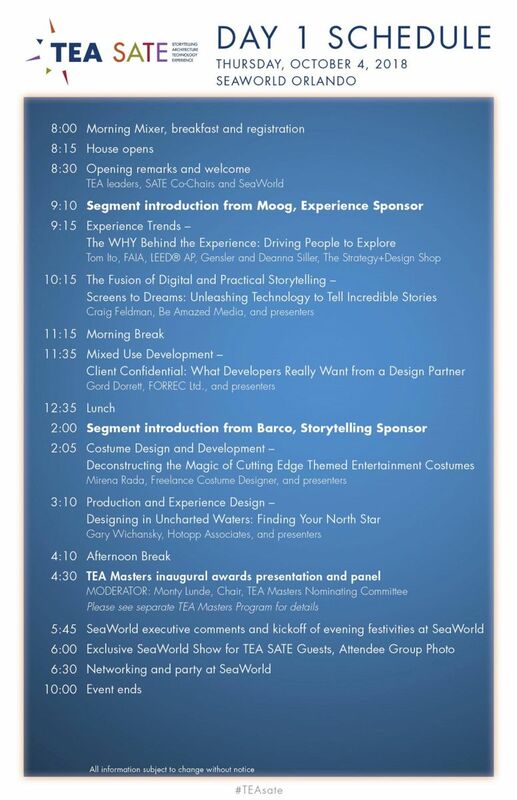 A reflection of TEA’s influence is that other industries have adopted such phrases as "themed entertainment," "storytelling," "experience design," and "immersive." Monty continues to help guide the TEA’s development and build upon the original vision, helping develop and launch new initiatives, such as the TEA Masters program. 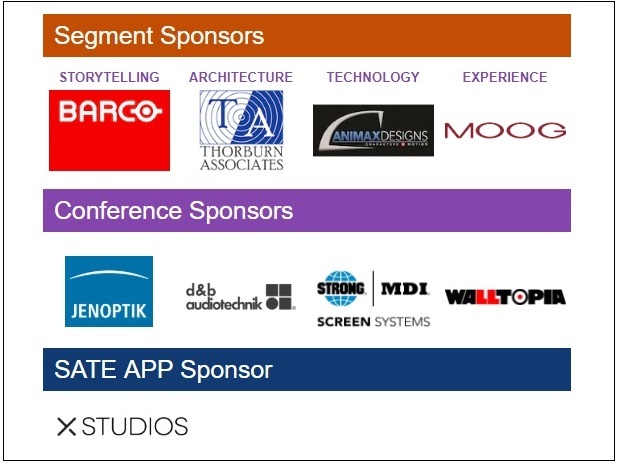 The SATE acronym stands for Storytelling + Architecture + Technology = Experience.